Want to take hassle out of your vacation plans? Choose car rental Gibraltar! Fill in the search form to compare prices in leading car rental companies and get the most affordable deal and make your vacation comfortable! There is right hand traffic. The roads are in excellent condition both in the city limits and outside the city. But still be careful when traveling in mountainous (narrow roads) and conservation area. Souvenirs - products depicting three monkeys – Gibraltar’s symbol, vases, candlesticks, glasses produced in the local workshop. Traditional food – Rolitos, Rosto, Fideos al horno, Calentita, Panissa, Bollo de hornasso, Pan dulce, Japonesa. 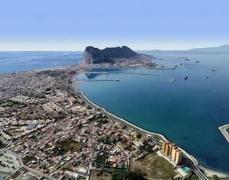 Car rental Gibraltar is your perfect option to see everything around here!